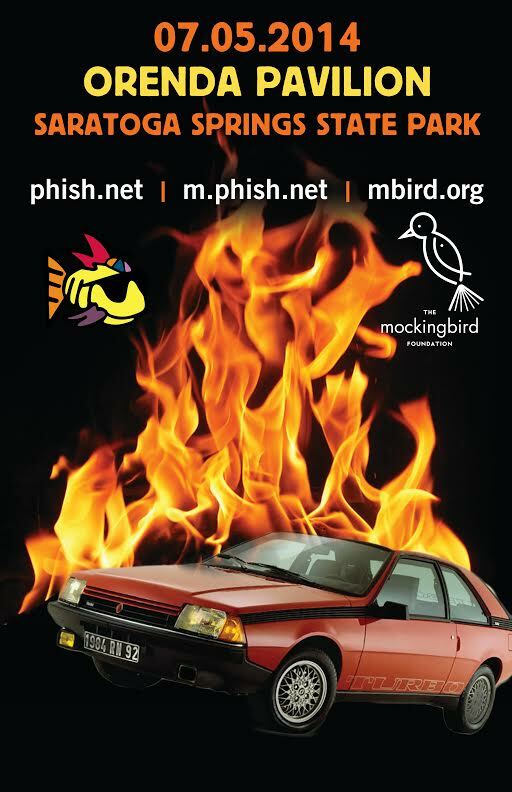 The Mockingbird Foundation and Phish.net are pleased and excited to be hosting our 3rd annual meet-up during the Saratoga Performing Arts Center stand. We have reserved the Orenda Pavilion in Saratoga Springs State Park for Saturday, July 5. This pavilion is conveniently located adjacent to the main venue lot (The East Lot) off Route 50. Check out this Map - the pin for "Geyser Loop Road" is the Orenda lot and pavilion. Attendees can either enter the park (fee is $8 per car) and navigate to the pavilion, or park in the main lots, and walk a short path which runs perpindicular from the back of the East Lot to the paved Orenda parking lot, and will be marked with a sign. We should have coals going from early afternoon through doors, so bring something to grill, and there is plenty of room for all sorts of entertainment and recreation. More complete details about the facilities, etc., are available in the forum thread.